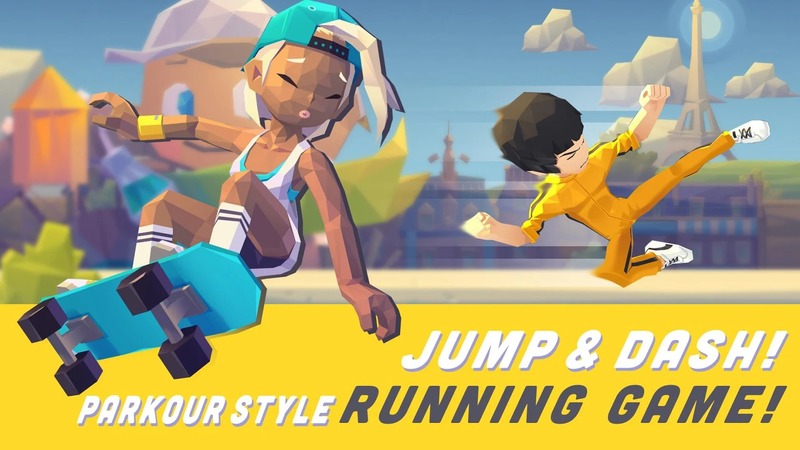 Home / Games / Smashing Rush: Run! Run! Run! One thing you need to know when playing Smashing Rush: No one dares to say that this game is easy. This is an endless run game created by the great ideas of the publisher Cold Soda. Plus, if you love exploring the city through Parkour, you definitely can not ignore it because it’s fun to run and climb the highest roofs in the city, and then watch the beautiful sunset. 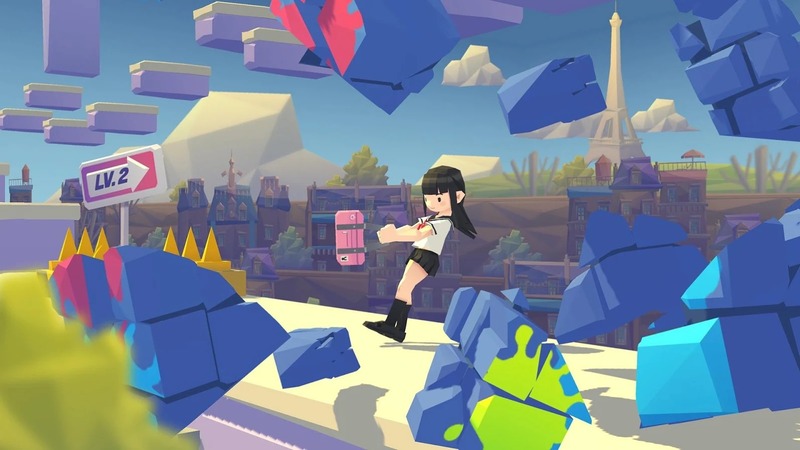 In Smashing Rush, your main task is to control the character (chosen randomly among the characters of the game) to complete the journey to conquer the most difficult stages, where no one ever placed to. Players must climb through the highest roofs in the city in order from left to right of the screen. The game’s control system consists of two main buttons, Jump and Dash. You press the left button of the screen to jump and hit twice in succession to get a double jump. When you meet the blue walls, you can click the virtual button on the right side of the screen to dash and go through them. Everything is very simple and you will get through the first level easily. But of course, you can not maintain the style forever. Then there will be times when you will bump into a wall, or even fall into a trap or fall off a high roof in the city. The ending of the character is tragic and deadly. It’s so scary! But you can still click in “Play again” and start a new journey. Every time you fall will help you get stronger, react better to obstacles. In each level, there are a few small tasks to complete, such as triple jump or something like that. And when you win, you will receive some interesting gifts. The additional tasks that will make you think carefully how to complete the task and win, have the opportunity to unlock new characters. Do not forget to collect the gold coins on the screen, but be careful because it can be a “trap” that distracts you. 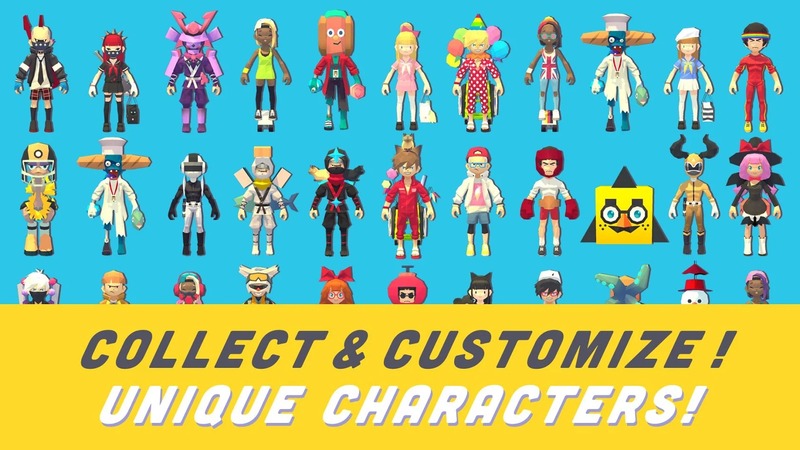 Smashing Rush allows players to unlock 21 extremely interesting characters. This is my main goal when I playing this game. You can use cash or use virtual currency in the game to buy them. The characters can be Deadpool, Bruce Lee, Batman, Power Ranger or even a zombie. They will make your journeys more fun. Some characters also have special visual effects compared to other characters, and of course, their price is not cheap at all. 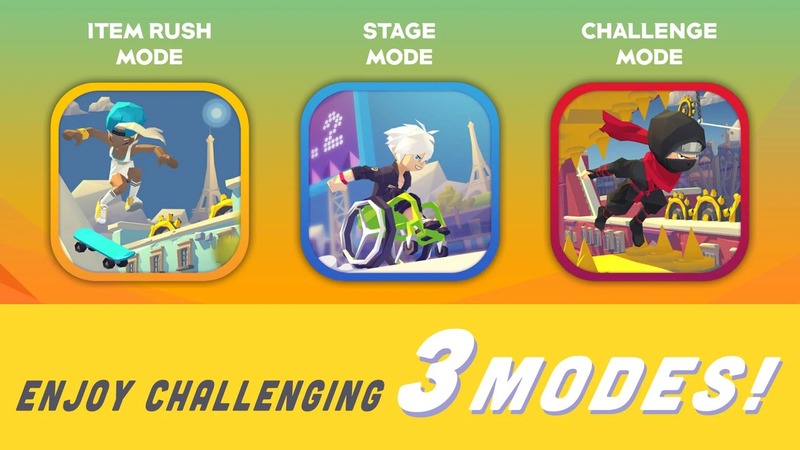 The three main modes of Smashing Rush include Item Rush Mode, Stage Mode, and Challenge Mode. Each mode is a challenge for players. Stay focused, dodge obstacles and speed up to win this game. Besides, another plus point of Smashing Rush is the graphics are designed with colourful art and intuitive control system. Characters are designed cute and funny. Each level, you experience a different map to avoid the boring. The sound is also great with EDM soundtracks that will make you play for hours and still want to play one more time. Classic endless run games are always an entertaining game never outdated. 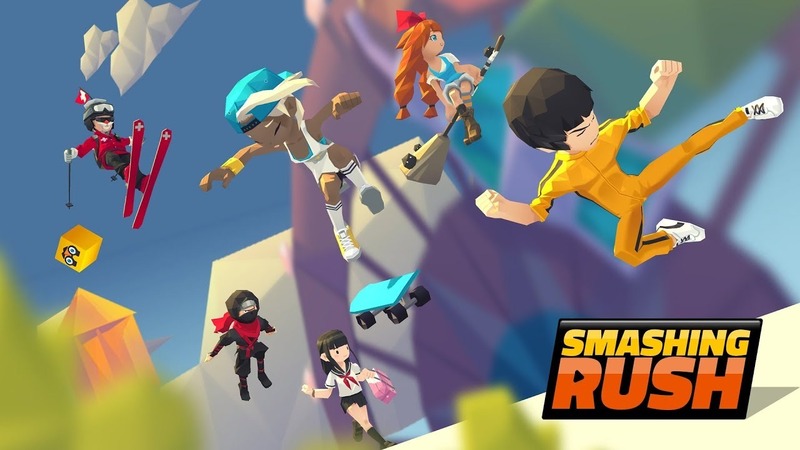 Smashing Rush is available for both iOS and Android devices, you can download via the links below the article. The MOD version of Smashing Rush gives you a huge amount of money in the game and does not require Root device before installation. If you have installed the official version of the game, please uninstall it and install our MOD version via the link below. Smashing Rush MOD APK is ready to download! Depending on your needs, you can download Smashing Rush MOD APK or Smashing Rush Original APK. Or install from Google Play / App Store if you want.